If you're running a website, you would want it to stand out unlike the websites of your competitors. But, keeping track of your website performance now and then would be a tedious job. Therefore, we have come up with the right SERP checker tools that would meet the needs of your product/ business website. What is SERP checker tools and how does it assist in the competitive analysis? SERP ( Search Engine Results Page) is the process where you analyze the top results of the web pages that are placed in the order of rank for a particular keyword. SEO ( Search Engine Optimisation) and other social media marketing agencies use this information as an opportunity to improvise their website and gain the search engine ranking. By looking at the way your competitors have acquired that rank, you'll have an insight into their work; and have an idea regarding the areas of improvement for your website. Therefore, SERP checker tools could lead to a successful business as you get a clear-cut idea about yours and your competitors business. It would be disappointing if you do not see your website when searched on Google or any other search engine. This wouldn't give your website or brand any recognition and could be a significant loss for your company. To avoid such disgusting situations, SERP checker tools are used. One of the top benefits of the SERP Checker tool being your website appears on the top of search engine results because it will give you information about your competitor's website and helps you know about the strengths and weaknesses of them. Keywords play an important role while owning a website. Getting the right keyword isn't an easy task. Therefore, SerpBook Keyword Ranking Tracker fixes this issue for us. It helps generate a couple of keywords that could get your website on the top of the search engine results. New keywords come up on a regular basis and it is impossible for us to keep track of it. The rise of new products and companies give rise to new keywords and this tool updates you about it. Alexa is one of the best SERP checker tools for in-depth competitor analysis, that is used for analyzing and comparing your website with that of your competitors. Alexa rank is considered to be one of the significant parameters for the comparison of two websites. It primarily looks for the number of people who visit the website (website popularity) and then rank websites based on the demand of the website. 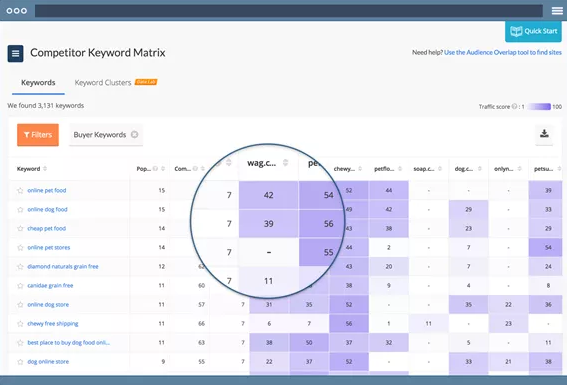 You can use this SERP checker tool to analyze your competitor's traffic and analyze your website with theirs giving clear clarity about their marketing strategy to get higher ranks. It also possesses a keyword inspection feature that your competitors may use for a high-rank approach and gives you an idea about the keyword that could be beneficial for your website. This tool not just analyses the website but also apps on parameters like rank, installation rate, user interests, etc. Quick Sprout is yet another competitor analysis tool that analyses the website traffic, speed and other general parameters of your website like search engine optimization. It is one of the most reliable competitor analysis tools that can analyze your competitor's website and its rank for you to improve your website to increase the traffic. Although this tool is not very popular, it is familiar to a lot of people. This online SERP checker tool pays the closest attention to markets based on technology. Trends about recent technology and stats on important financial institutions involved in a specific market. Using this tool, you can decide which technology would be appropriate for your business. Also, you get a picture of its audience interest and using this; you can compare your stats with your competitors. This will help your business evolve technically and could help your business or product stand out, unlike other companies. WooRank is another website review tool that can examine search engine optimization. 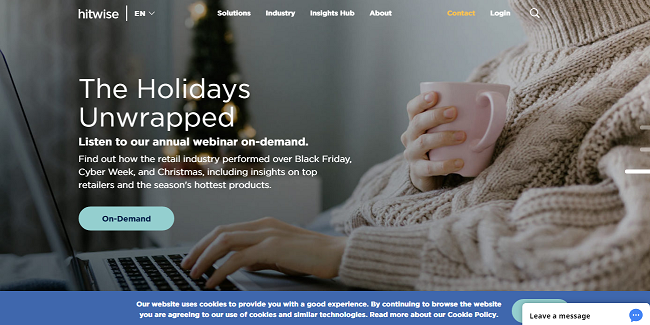 It provides a wide range of competitor analysis features. 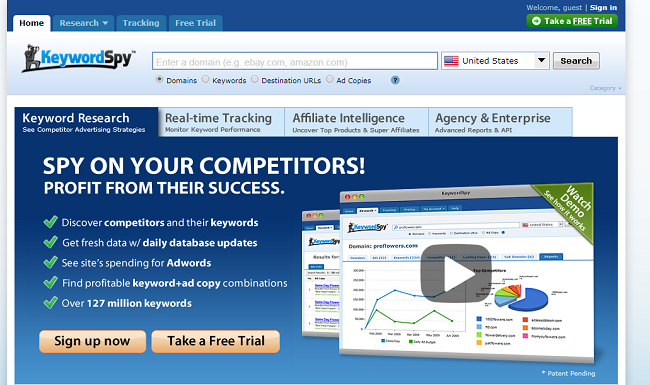 Using this tool, you can know what keywords your competitors are focusing on. So that you pick them up for your website to have a high rank. You can compare up to 5-6 websites together to know the result and have a better performance. KeywordSpy, as the name suggests, is another SERP checker tool that lets you spy on your competitor's website for the keywords that is responsible for their high rank. Digital marketers prominently use it as they can have a look at their competitor's website to know more about their advertising and marketing strategies. You can spy on multiple websites of your competitors and find out the keywords that they use; their ad or link arrangement for grabbing the attention of more users. This is another tool that helps you compare your website with your competitor's website based on specific parameters. You'll get a proper insight into your competitor's website and lets you track down your audience. You will get a clear picture of how many people visited your website and how many unfollowed you. Apart from suggesting keywords that you should focus on; it also mentions those keywords that your competitors used and failed at. These are some of the SERP check tools for in-depth competitor analysis that helps you have a successful business. All you need to do is sit back and rely on these tools to have a clear insight into your website; and your competitor's website. You can improvise your existing work into a better version using these tools without giving a second thought. Competitor analysis is something every marketing agencies should approve to correct their mistakes and know their areas of improvement. So what are you waiting for? Choose the right pick and get started with competitor analysis using the SERP check tools that we have suggested for you!